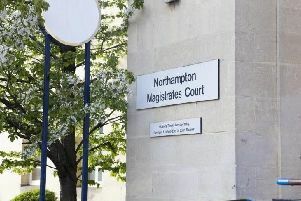 Armed officers and two dog units were called to a house in Northampton. Police sealed off Midfield Court in Thorplands at about 9pm last night. Witnesses reported seeing several police vehicles containing officers with rifles and tasers, before being ordered to keep clear of the area. The incident ended with a man being led out the back door of a house in the Midfield Court and arrested. After searches of the house, police left the scene after midnight. A police spokeswoman said:“At about 9pm yesterday evening, police were called in relation to an incident in Midfield Court, Thorplands, where a man is alleged to have made threats with a suspected air weapon.